If you feel like making a tasty, slightly healthier cake to the traditional versions, try this recipe. Replacing butter with a little olive oil, it includes nutritious ingredients such as chia seeds and kiwifruit that give a refreshing and original touch. Put the flour in a bowl along with the baking powder, the chia seeds and a pinch of salt. Separately, blend the banana pulp, evaporated milk, oil, lemon juice and grated skin. Using a hand mixer, in a separate bowl beat the eggs, egg whites and sugar until frothy and pale. Pour into the prepared tin and bake in the centre of the oven for around 35 minutes, until the cake is firm to the touch and shrinking back a little from the sides. Test near the end of the cooking time by inserting a clean skewer. If the skewer comes out clean, the cake is cooked. If there is raw mixture on the skewer, return to the oven for another 5 minutes. Remove the cake from the oven, let it cool on a wire rack for a few minutes in the tin and then turn out and remove the baking paper. 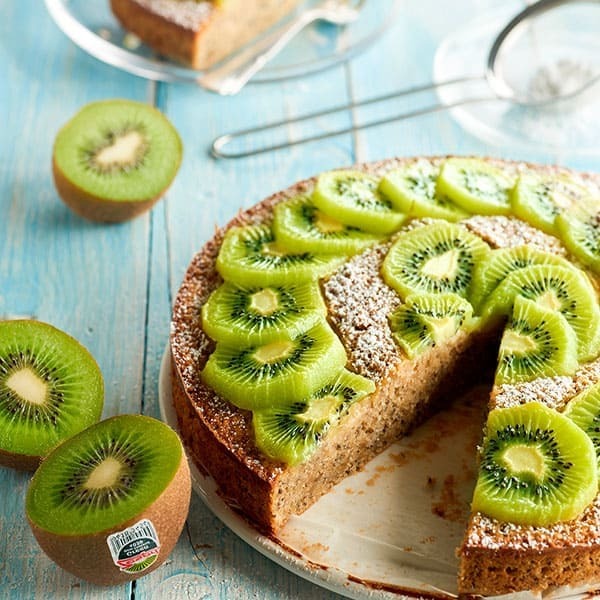 While still warm, top with peeled, sliced kiwifruit and sprinkle with icing sugar. Myth busting: Is kiwifruit a citrus fruit? Of course not, but you probably knew that already! The kiwifruit may have some similar qualities to the citrus fruit family, but it is classed as a non-citrus exotic fruit.